US coal carload originations totaled 68,511 in the week that ended December 29, down 27.1% from the prior week and a year low for 2018, American Association of Railroads data showed Thursday. Despite the large week-on-week drop, carloads rose 9.9% from the same week of 2017. From the five-year average of 82,804 for the 52nd week of the year, carloads were down 17.3% in 2018. Average weekly carloads throughout 2018 totaled 84,687, while total coal carloads were over 4.4 million, down 0.4% from 2017. Canadian carloads totaled 7,773 in the final week of 2018, up 7.2% from the prior week and 35.1% from the same week of 2017. Carloads from the four major Class I railroads -- BNSF, CSX, Union Pacific, and Norfolk Southern -- totaled 76,045 in the last full week of 2018, up 12.4% from the total of 67,664 carloads in week 52 of 2017. For the second year in a row, all four railroads experienced their largest week-on-week drop in the last week of the year, although not since 2015 have carloads in the final week of the year increased from the penultimate week. BNSF originations totaled 32,357, down 21% from the prior week. While the rail had a large weekly drop, from the year-ago week carloads were up 27.7%, the largest yearly increase across all four railroads. BNSF carloads throughout 2018 totaled over 1.9 million, down 0.6% from the 2017 total, while the average weekly carloads totaled 36,670. For the year, coal made up 17.9% of total BNSF traffic. UP fell 21.2% from the prior week to 19,172 carloads in the most recently concluded week, and rose 1.4% from the same week of 2017. UP coal originations totaled over 1.4 million, down 5.9% from 2017. Average weekly carloads were 21,245, and coal traffic made up 12.4% of total rail traffic. CSX carloads totaled 10,648, down 39.4% from the prior week, and the largest week-on-week drop of the four railroads. CSX was also the only rail to drop from the comparable week of 2017, down 10.2%. Coal carloads totaled 832,801 throughout 2018 for CSX, up 4% from 2017. The weekly average totaled 16,015, and coal made up 12.9% of total CSX traffic. Totaling 13,868 carloads in the week that ended December 29, NS originations fell 31.2% from the prior week and rose 19.9% from the year-ago week. Total NS coal carloads for the year were 965,438, down 0.9% from 2017. 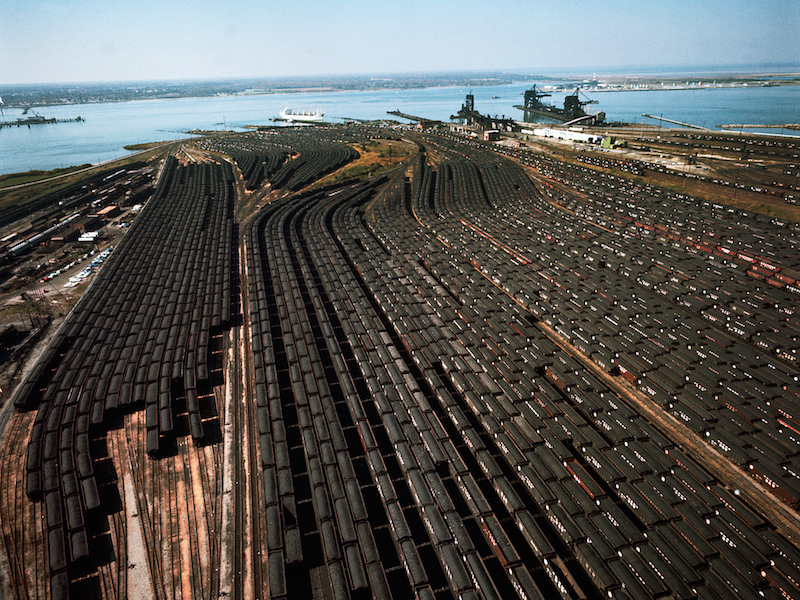 Average weekly carloads totaled 18,566, and coal carloads made up 12.2% of total traffic.